A computer or smartphone that's connected to the internet. 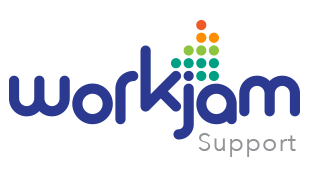 You can sign into your WorkJam account through any web browser (Internet Explorer, Microsoft Edge, Chrome, Firefox, Safari etc.). Enter the email address, or username (your username cannot contain spaces) you entered when registering your account, followed by your password. NOTE: Your password is a case-sensitive combination of 8 or more letter(s) and number(s) and your username cannot contain spaces. Click the SIGN IN button to continue. Forgot your password? Just follow the steps in our How to Recover a Lost or Forgotten Password article.